Today you can pick up a $30 voucher to HasbroToyShop.com for $15 from Groupon! 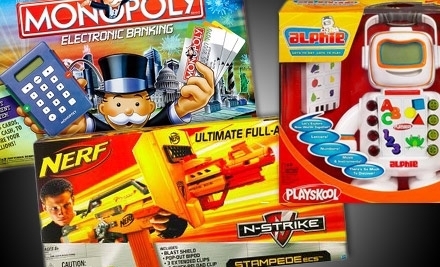 Hasbro is one of the most popular toy companies and has a huge range of toys for your little guys/girls. You can use the voucher to cover shipping, and it’s good on anything from their store even clearance. To make it even more fun, the voucher never expires!! You can grab it now and then use it for Christmas presents later if you want!